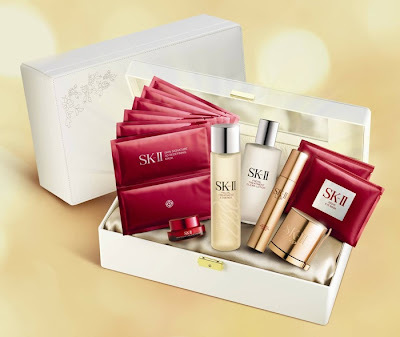 SK-II's festive coffret sets will be launched in Singapore on 15 October. For this holiday season, SK-II has collaborated again with Rochas designer Marco Zanini on a limited edition version of its bestselling Facial Treatment Essence (S$209; 215ml), which will be available only at Tangs Orchard and VivoCity. 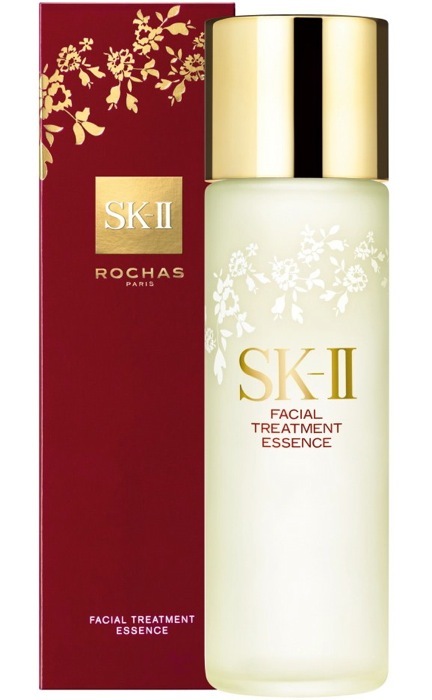 For every bottle purchased, SKII will provide 100 days' supply of clear drinking water to women in need. The following four gift sets will be available at all counters. Pitera Inspiration Set (S$1157): Facial Treatment Essence 250ml, Facial Treatment Clear Lotion 150ml, LXP Ultimate Perfecting Cream 50g, LXP Ultimate Perfecting Serum 50g, Skin Signature Eye Cream 15g, Skin Signature 3D Redefining Mask (6 pieces), Signs Eye Mask (2 pieces) and a Muse leather pouch specially designed by Rochas. 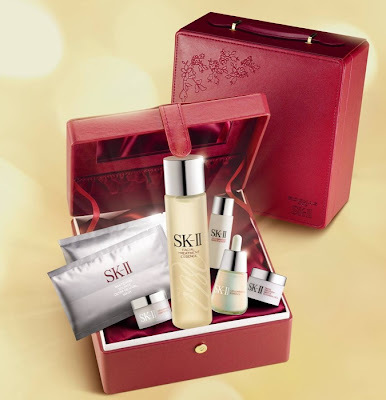 SK-II is also offering a special personalized gift set (S$450) including the Facial Treatment Essence 250ml, which allows you to pick three of your favourite SK-II products and receive the following complimentary products: Facial Treatment Essence 30ml, Facial Treatment Clear Lotion 40ml, Facial Treatment Repair C 15ml, Skin Signature Cream 15g, Facial Treatment Mask and Signs Eye Mask.